Jeff Nichols has revealed that he's nearly finished with the final draft of his "epic" Alien Nation remake script. Nichols has been attached to the project for over two years now, and it's been pretty quiet in terms of updates since he came on board. Fox announced four years ago that they had plans to remake the 1988 film Alien Nation, and it was revealed two years afterwards that Nichols was coming on to write and direct the project. In a new interview, Jeff Nichols teased fans with what they can expect from his Alien Nation remake. As it turns out, the director has been working hard, putting everything that he has into making the best movie that he can over the last two years. With that being said, there also seems to be some doubt surrounding the future of the movie. Nichols explains. "So I've been working on Alien Nation like for two years, the screenplay. And I'm still ... I'm almost done with it. I'm hoping this draft that I'm working on now will be my last. The studio seems to really love it, and we're working on conception design of the aliens and everything else, and it happens to be a studio that's being bought by Disney right now. I'm working with Fox on it, so it feels a little bit like you're one of those monks doing those giant murals in sand. It might just blow away, which would be a real shame, but everybody at Fox has been so good to me about it. And they're so positive about it, obviously I'm trying to stay in the positive zone, and hopefully knock out this last draft." With Disney purchasing Fox, there's a chance that all of Jeff Nichols' work could have been done for nothing. However, that doesn't mean that another studio could take over the rights of the Alien Nation remake. The writer/director noted that his version of the film is going to be a lot different than what people are probably imagining, which is more than likely a good thing. Nichols had this to say. "It's epic. I mean, it's the biggest canvas I've ever painted on, but it 100 percent feels like a Jeff Nichols film, which I'm sure there are gonna be some Alien Nation fans out there that are like, What the f*ck? But my hope is if they... If people come to it just ready for a new story, that they'll like it. And I put my heart and soul into it. I put so much of myself into it. It takes place in Arkansas. There's so much of me in it." The original 1988 Alien Nation is buddy cop action movie and stars James Caan and Mandy Patinkin. The plot centers on aliens landing in Los Angeles, known as "newcomers," who try to assimilate with the human race. The humans aren't too excited with the arrival of the "newcomers," but Caan's investigator character ends up working with Patinkin's alien character, who is the first "newcomer" detective. The movie was successful enough to spawn a TV series of the same name in 1989. 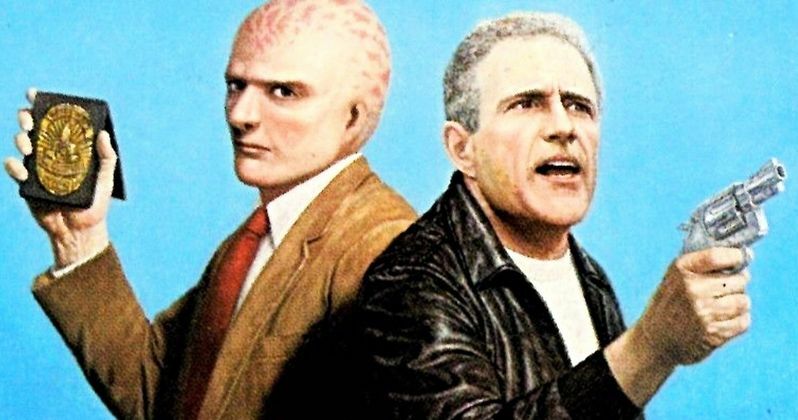 The Alien Nation TV series was a success for Fox, but it was canceled after one season due to a financial shortage caused by lower-than-expected advertising income. Fans have been waiting nearly 20 years to see something new happen with the franchise, but it looks like there will probably be some more waiting going on as Disney figures out what to do with their Fox acquisition. You can read the rest of the interview with Jeff Nichols on his Alien Nation remake over at Slash Film.